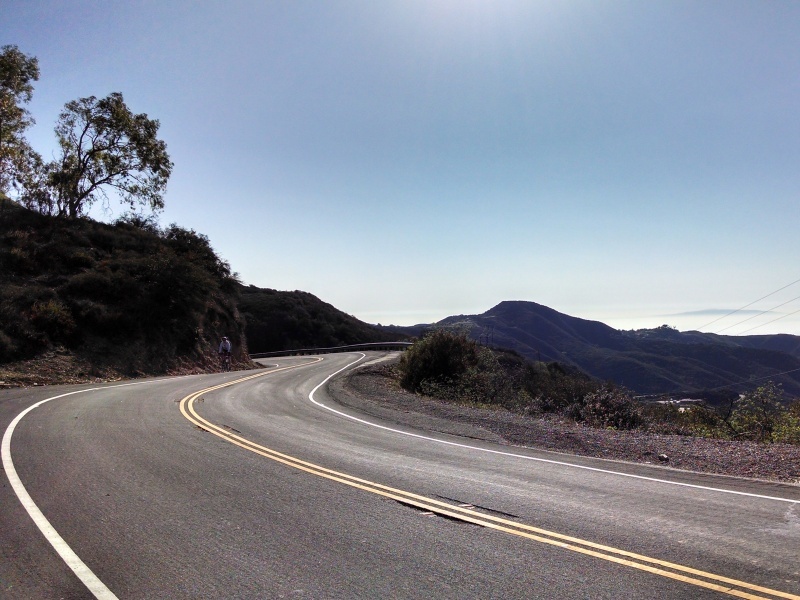 The Malibu Seven Canyon Classic is a hard ride through the Santa Monica Mountains with some spectacular ocean views. 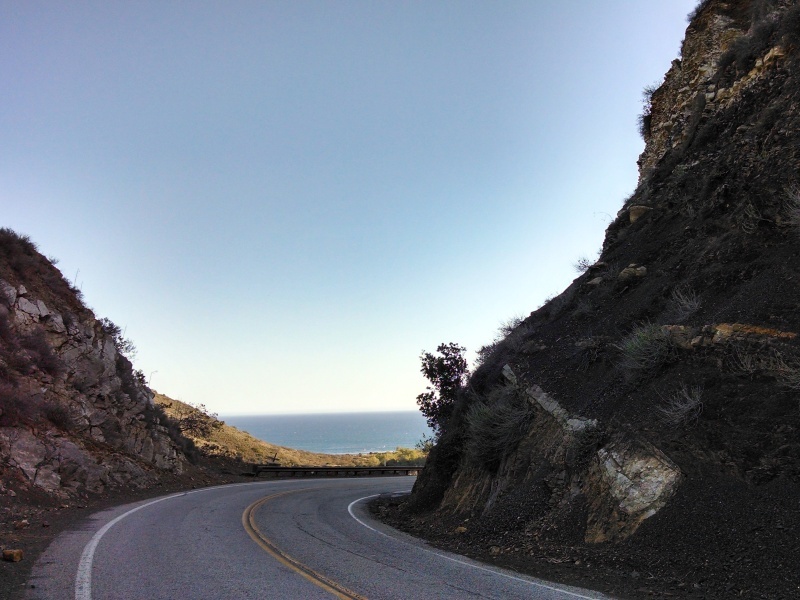 The ride starts in Malibu (Zuma Beach) and heads south on Pacific Coast Highway, before leading up Latigo Canyon (#1). 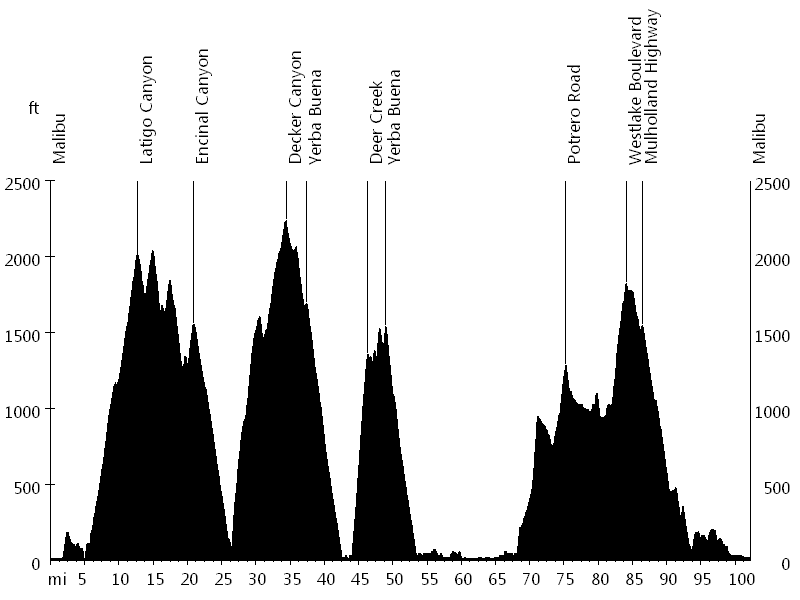 The route then heads down Encinal Canyon (#2), before leading up Decker Canyon (#3). 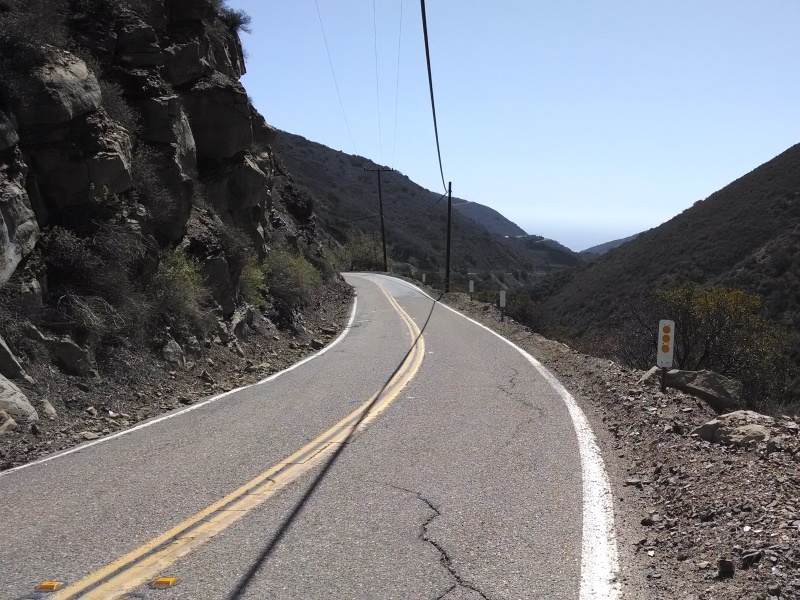 Decker Canyon turns onto Mulholland Highway, which turns onto Little Sycamore Canyon, which becomes Yerba Buena. The ride then heads down Yerba Buena (#4), before leading up Deer Creek (#5). The route then descends Yerba Buena (#6) for a second time. 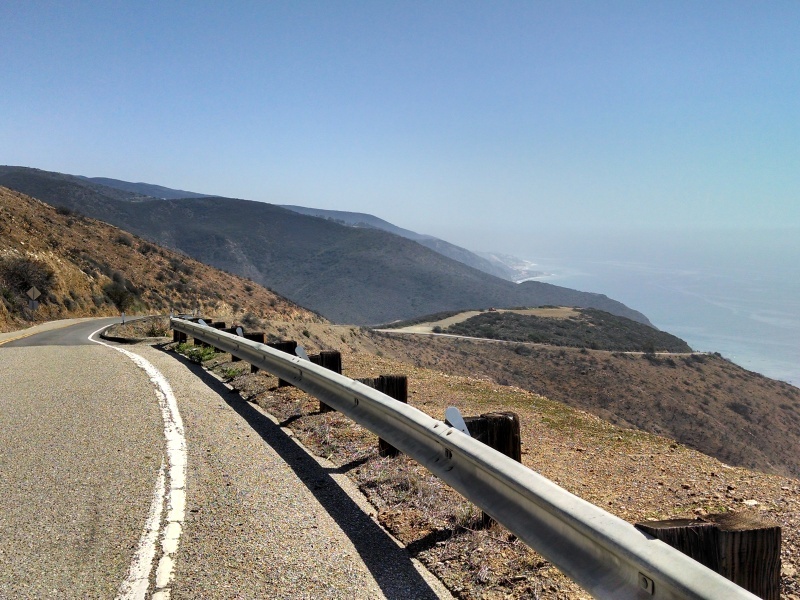 After about 15 flat miles heading north, the ride ascends Potrero Road, hitting "the wall". 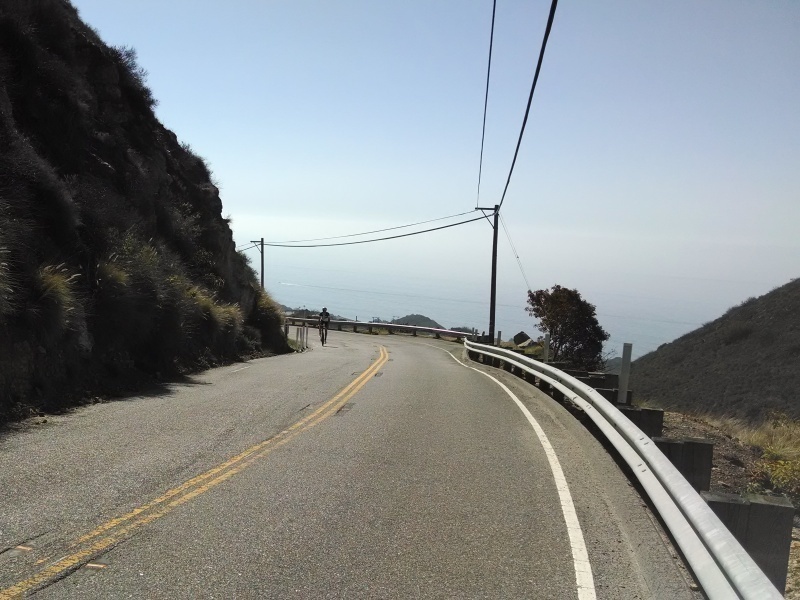 Eventually the route passes Lake Sherwood, where it turns onto Westlake Boulevard, leading up the coastal range. 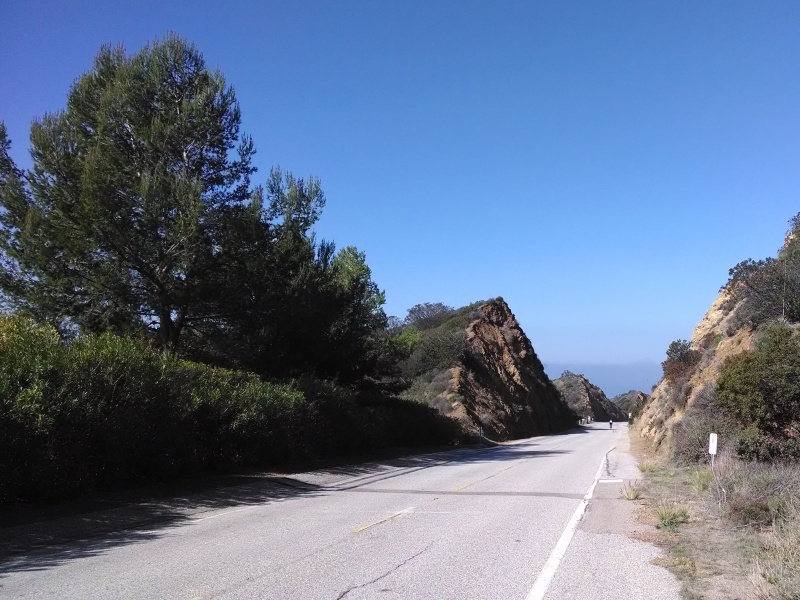 Finally Mulholland Highway (#7) heads back down to PCH, which leads back south to Zuma Beach. John U., Jean C., and I went for this ride, and we ran into my co-workers Ray K. and Ernie L. as well as Susan T.
Except for the fact that there was no food after the stop at mile 50 (really, Brennen Lee of Navigator Adventures? ), we had a great day.